If you want to create a good feng shui home, it is always a good idea to start at your front door. Why? Because it is through the front door (also called the mouth of chi) that the flow of energy is absorbed and goes into the house to nourish your personal energy. If you are familiar with feng shui ideas and concepts, you know that there are a variety of tips you can apply in any room in your house in order to achieve good feng shui. However, none of them—with just one exception, the feng shui of your bedroom—is as important as a good feng shui front door. So, how do you create a strong feng shui front door to attract good chi into your home? The easiest way to create a strong feng shui front door is with the appropriate feng shui design for it, which includes colors, specific shapes, and materials. The best feng shui design is the one that directly nourishes the feng shui element found in the direction of your front door. For example, if you have a north-facing front door, you will focus on nourishing the water feng shui element that "governs" this direction; while avoiding or minimizing decor items, colors, and shapes that belong to the elements of earth, wood, and fire. The easiest way to strengthen the feng shui energy needed for your front door is with the right color choice. 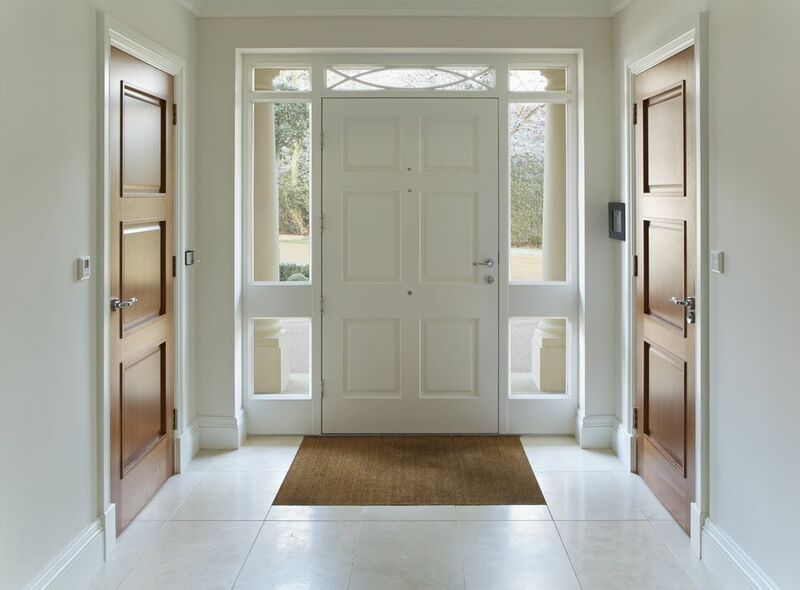 In feng shui, the energy of a front door is determined by its facing direction, so there are 8 different guidelines for front doors that face each of the 8 directions. In the case of a west-facing front door, there is one more feng shui element you can use; this gives you a wider range of good colors. The element of earth is nourishing for the metal element, thus all earth element colours are also good for a west-facing front door. Earth feng shui element colors are all earthy/sandy colors and light yellow. Therefore, the best feng shui colors for a west-facing front door are (in order of their auspiciousness): white, gray, light yellow, and all earthy/sandy colours. Avoid the following colors for your west-facing front door: blue, black, red, purple, orange, and deep pink. These colours represent the elements of water and fire and are weakening/destructive to the metal element of west direction. Of course, if you can repaint your front door, then this all sounds reasonable and doable. However, what can you do if you live in a rental home, or in a housing complex that restricts your choice of exterior house colors? Can you still have a good feng shui front door if the door color cannot be changed? Yes, with just a bit of effort with the front door decor you sure can! Is A Front Door That Opens Outwards Bad Feng Shui?